Cloisters of the Don is designed to provide you with a modern living experience in an inviting, natural setting. As you enter our park-like community, you’ll notice the care and detail put into our pristine landscape and lush gardens areas. From the high-rise balconies, you see the familiar downtown cityscape and feel the pull of its vibrant energy to the west. To the east, you see your own pet-friendly apartment community with its open green spaces and seemingly endless treeline. 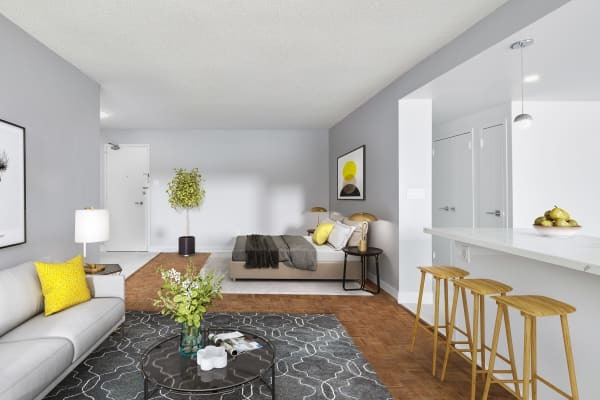 Exploring further, you take to the walking paths and find your way to the beautiful townhomes and take note of the private gardens and patios against verdant lawns. Inside and out, this community has the space and amenities you need for the lifestyle you want. 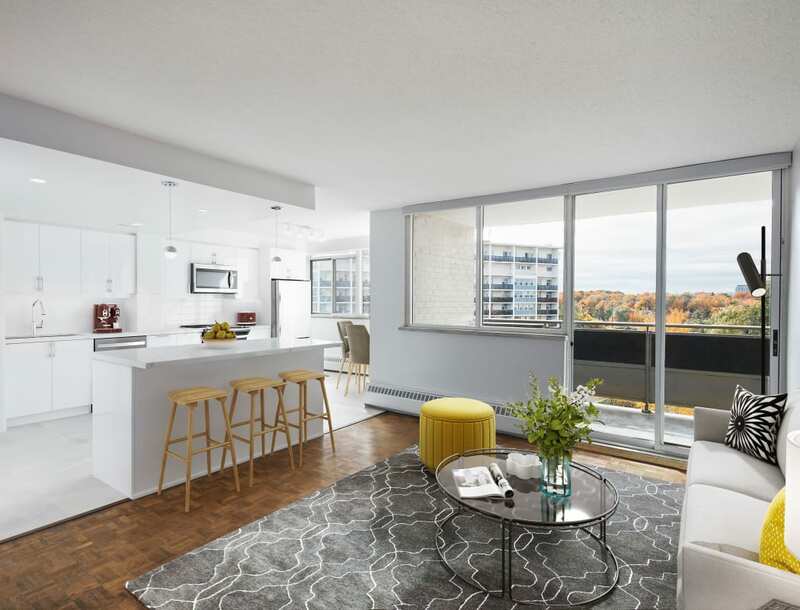 Let nature inspire your sense of home with a one, two, three, or four bedroom apartment or townhome for rent at Cloisters of the Don in North York, ON.